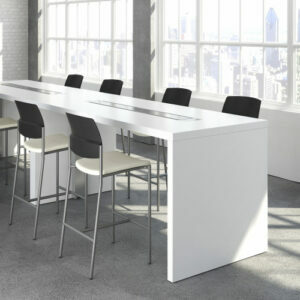 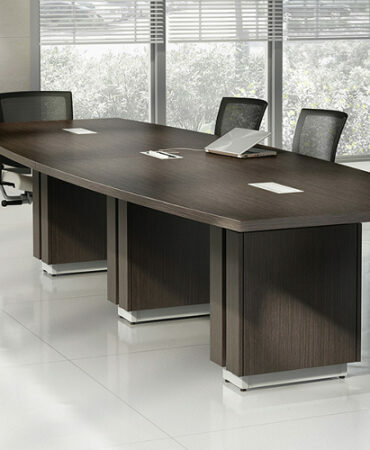 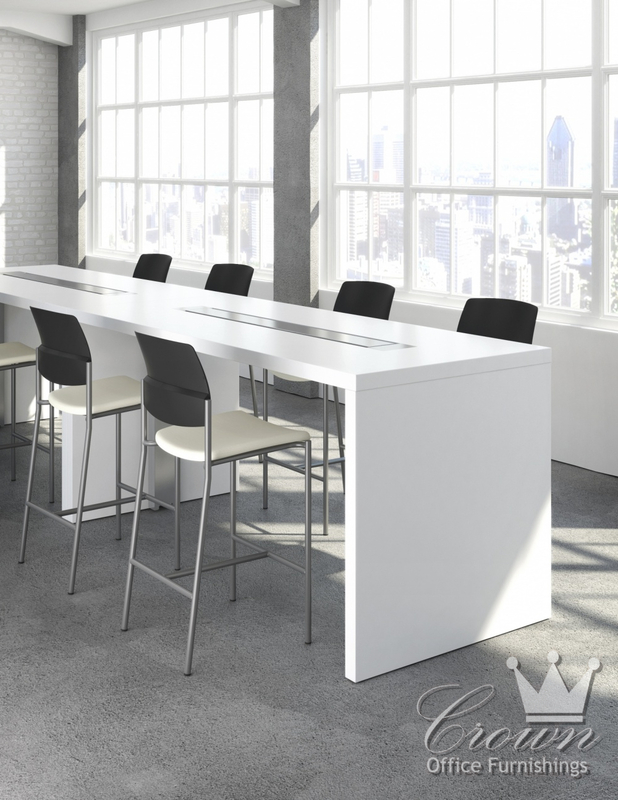 Endzone tables are contemporary conference tables that promote teamwork and creativity. 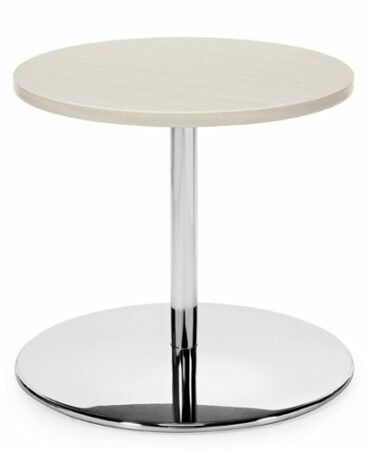 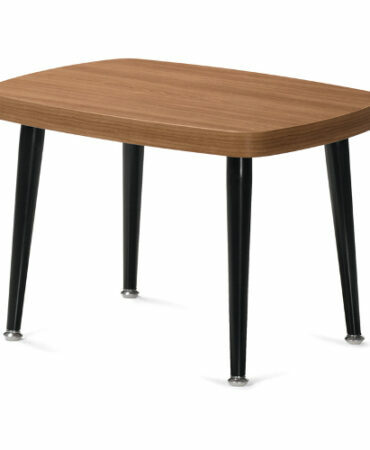 Available in three separate sizes, these tables can accommodate standing, high stools, or standard seating. 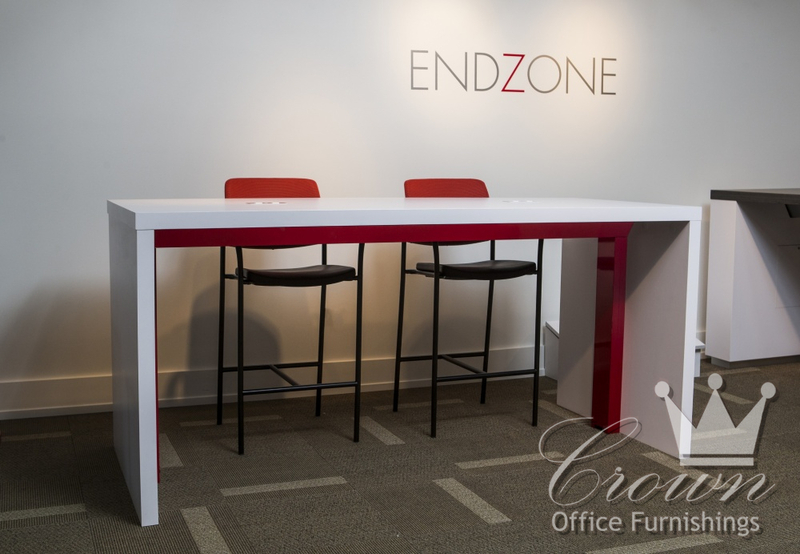 The endzone tables can be customized to your needs with two separate end panel designs, and multiple sizes and finishes.